Do you need to update how your office functions on a daily basis and change how it engages your customers? 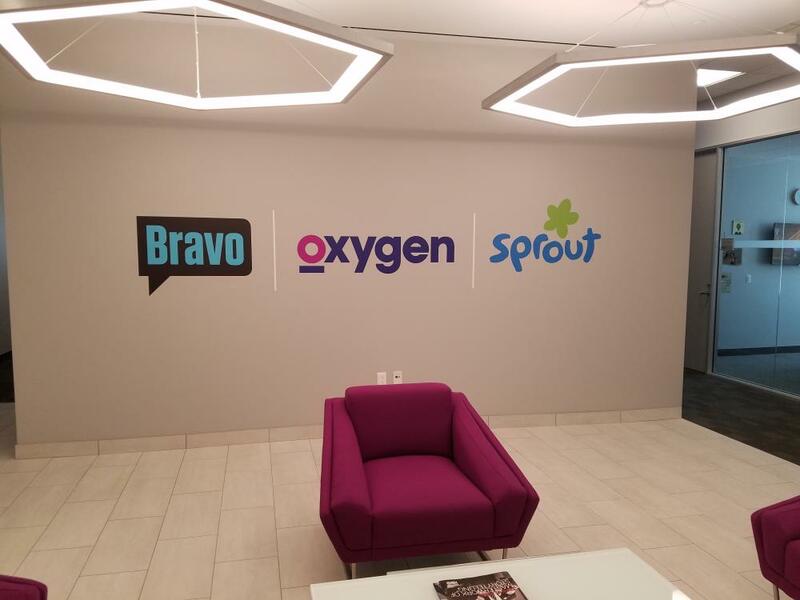 SpeedPro can discuss several options with you to rebrand your office and update your graphics. By supplying signage to match your brand, we can help you keep your office running smoothly while directing and informing your customers. Our team of designers at SpeedPro Imaging Fort Collins will meet with you to create a plan dedicated to keeping your brand effective. We serve all businesses located in the areas surrounding Fort Collins, Loveland and Johnstown. Let’s get started! 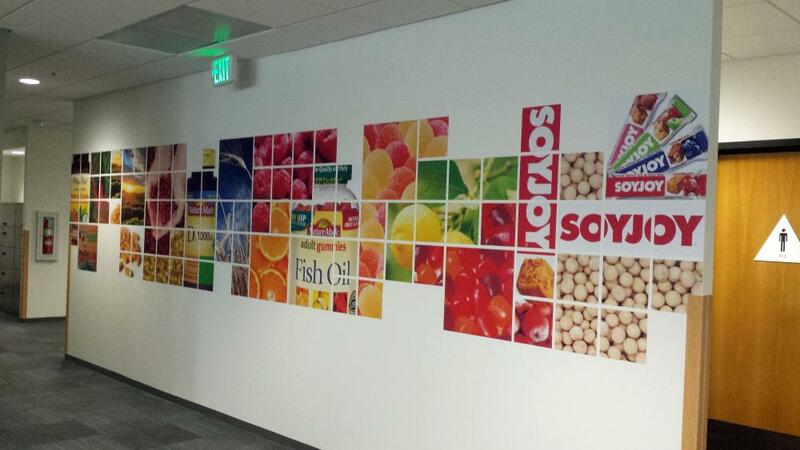 At SpeedPro, we want to offer you multiple ways to enhance your corporate graphics. Any customer who enters an office wants to feel appreciated and welcome. Anything less will create an uncomfortable experience, such as bad service or disorganization. We can help you successfully avoid those issues. Deciding which areas your customers interact with most will let you pinpoint what and where your office branding should be. Some of the best spots to update might include waiting rooms, hallways, reception desks and conference rooms. Banners can inform as well as guide. With our bold graphics, you can catch the attention of your customers and guide their focus to specific elements of your office. Retractable banner stands can greet guests as they walk in and inform everyone of new items, upcoming events and limited-time offers. Directional signage will be an enormous help in guiding customers around, no matter if they’re new or returning. All customers look for a visual cue when they walk into a room, whether it’s to find where the bathroom is or figure out where a meeting is being held. Wayfinding signage that fits your brand, such as themed versions covered in your business’s logo, will help craft a comfortable and welcoming experience. 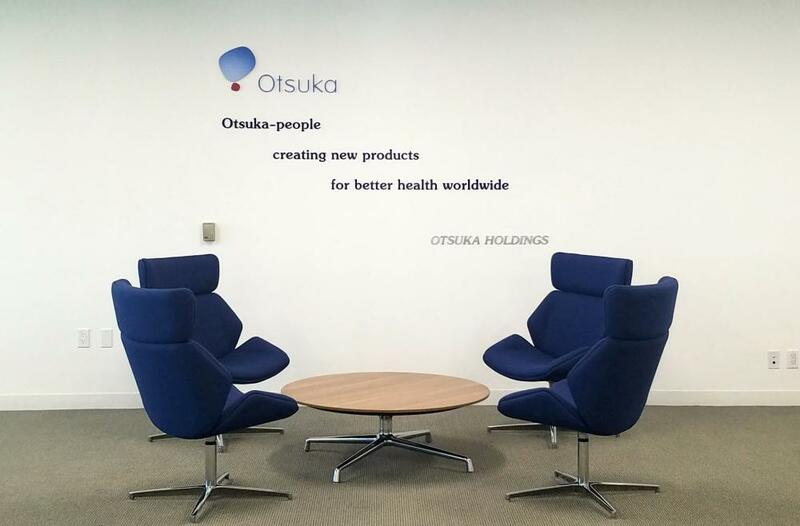 Wall murals can also greatly add to the atmosphere of your office or room. Not only do they decorate and provide color, but they can also solidify and unify the brand that’s portrayed in a particular area. 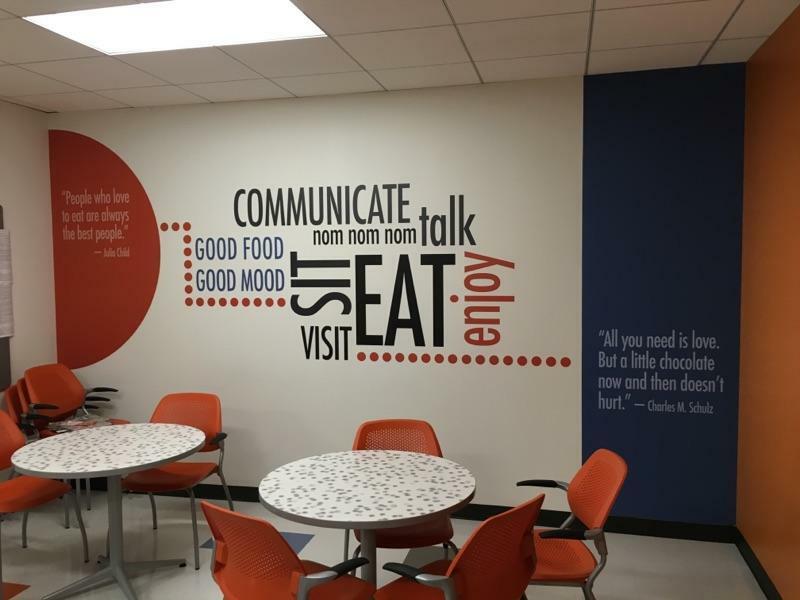 These wall murals aren’t just random images either — they’re crafted specifically to represent your brand and reinforce a message directly related to your business. If your office needs an update or refresh and you want to actively connect with your customers, give us a call! Our team will set up a consultation appointment to discuss your business and branding needs and determine which options will best fit your office.